Holistic Living Annex: Impossible Is Nothing! Remember the time when you believed that you could do anything and be anyone you want? It sounds so far away, isn’t it? Well, it’s not too late! You still can! All you have to do is to believe in yourself. Resurrect that pure innocent child-like faith within you that died when you were thrown into the ocean of what most adults call “REAL LIFE”. You are a magnificent being and you have a life full of potential. It’s just that you have been distracted with all the expectations others have placed on you so much so that you have failed to stop for a moment to appreciate the beauty that surrounds you. So stop now and breathe. Remember, impossible is nothing. 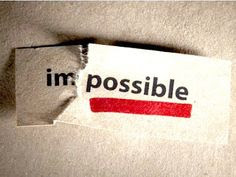 The very word reads I-M-Possible (I am Possible)! Start to be the master of your life. Do not let others have any control over you. Many may try to influence you for your so-called ‘best interest’, advising that you would be better off treading certain roads in life. However remember this, whatever road it may be, unless you are truly happy doing something, you will never go far! Doing something that does not resonate with your heart makes you feel ‘stuck’. You are there because others told you to, and not because you were inspired to. So, you are not compelled from within to put in the effort necessary to reach greater heights. And because you do not feel the satisfaction of being where you are now, life may even start to fall apart as you develop negative thinking patterns. So you see, what else can result but resentment towards the very people who put you there in the first place? Despite such wretchedness, you find it hard to leave because you have become so laid-back by letting others make decisions for you that you could no longer make one on your own! It is a never-ending negative cycle that only you yourself can break. Stop being swayed by others and start listening within. Then act on it! If you do not like what you see in the mirror, don’t break the mirror… Change the face instead! Remind yourself daily that this is your life. If you are not truly happy, of what use are you to other people then? The chains that you feel are binding you are nothing but an illusion. You are the one who is binding yourself to a particular state in life. People tell me that they want change and they would like to lead the life that they dream of. But when I observed their actions, they did nothing about it! If you want something different, then start doing something different! 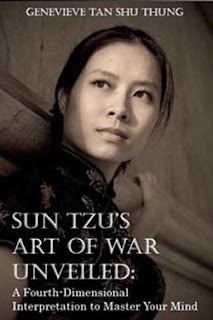 After my lectures, I will have some coming up to me and say, “I will ‘try’ to apply the principles that you have just taught us.” My reply was always: “The word ‘try’ does not exist in my vocabulary. I either do it, or I don’t!” Period! Whatsoever that You Push Against, Pushes Against You! I agree with Kavita. It was extremely inspirational. Unfortunately, too many people today lead the lives as per other people's verdict. How true, but I realised it quite late. I wished I had known it earlier. Allowing others to kick you around isn't really a bright idea. I ended up hating my parents for the job I hated so much. Then I realised that although they pushed me into it, I could have said NO and walk out, but I didn't. I only had myself to blame. But what was more important was that I finally quit and am doing what I like now. Life has never been more amazing since! It's never too late for change. Can you believe that I was stuck in a job that I hated so much for 10 long years??? I started growing comfortable but boy was I unhappy!!! The longer I stayed, the harder it was for me to leave. Then my father died and I just thought to myself, life is too short to be frowning everyday just for green coloured papers (here I mean $$$). I quit and went for a Europe tour and met many people along the way. I figured out what I really wanted in life and set out for it after the trip. I then realised that the happier I was in making money, I got more of it! Beautifully said. My mother was my anchor, and I relied on her for every single thing including picking out the clothes for my entire wardrobe. When she passed away, I lost all sense of direction. Who was going to tell me what to do now? That was when I finally grew up and learned that only we can craft our lives to our very best potential. The rest are merely bystanders. No one really knows you except yourself. Thanks Genevieve! It is freakingly true!! I was just having all these thoughts in my mind and here I am readin this post. Why should I let others run my life?? I have become so hot tempered over the years because I finally realised 3 days ago that I wasn't happy with my life at all! Everyone around me used to tell me I could do this.. it's stupid to do that.. WTH I'm gonna do what I want now! I had 3 failures in my relationship coz I always put out my anger on my partner whenever I came home from work. I wanted to be a composer, but family told me I wasn't good enough! WHO CARES?! How uplifting. I love you Genevieve!! Now we really want you to come over to New York this Christmas! We really missed you and your lectures!!!!! Once again you have inspired me. Your lecture in London last year was amazing by the way! Hello Genevieve. Remember me? I attended your Glasgow meditation circle last year. Since I started the Sandhya Maarga Meditation, I possessed this newfound strength to live the life that I've always wanted. Thank you. Thumbs up to all who have been able to move on with their life from the clutches of misery. I simply cannot comprehend how people can let others run the show for them. It's your life after all! Jesus and thunderbolts!! I must say that her words were indeed powerful. I never thought of it that way before that when I am unhappy, I am actually no good to nobody else. I loved every word of it. :)) You've made my day..
How very true. I liked this very much -----> "You are there because others told you to, and not because you were inspired to. So, you are not compelled from within to put in the effort necessary to reach greater heights." Yet another classic. Well done! We all must ascend the blame game one day or another. Thank you Genevieve. Another uplifting article from Genevieve! Keep up the inspiration! 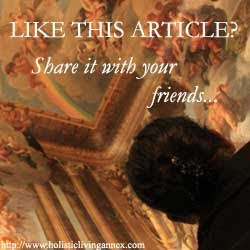 This is in my opinion, the number one website when it comes to uplifting and inspiring articles! May all the readers be inspired and uplifted to do great things for humanity! Have a nice day to all of you! Great article there Genevieve. Sadly in my country, most people are very scared to express themselves and are very content on whatever they're doing. What a wonderful read. Thanks for the motivation. Masterji, it was an enlightening talk that day. Your visit to New York really changed my life. You've turned my life downside up and I cannot thank you enough. I've promised myself never again to be bound by the invisible chain of fear just like you told me before. Remember Karen, my daughter? Karen and I are waiting for your next trip to New York. Can anyone tell me when and where Genevieve's next lecture is? She seems interesting. i don't think i'm the right person to be answering this. although i do not think she has ever been in canada before, i believe she will one day. you can already have a glimpse of how her lecture is by reading the post. i find genevieve very charistmatic, loving and definitely very wise. somehow, there is this aura around her that seems to inspire you and what she says makes perfect sense. how do i explain this better?? it is sort of her speaking right through our hearts. in other words, she says the things that are within us, but we just didn't know how to express it in words. i really enjoyed her spiritual talks. she was able to interpret scripture in a very different manner. try checking out her article on easter, and you'll know what i mean. she has a great humor as well. whenever she sees us too engrossed with the lecture, she'll snap us out of it by telling a joke or two. the meditation technique she teaches is also very uplifting. don't really know how to say it, i guess you just have to find out yourself. Genevieve is quite a character. She is spiritual teacher but possesses a unique style of her own. So, as mandygirl said, the Master can be pretty unpredictable. Our group in Hong Kong has had personal experiences with Genevieve and her words are really deep sometimes. It takes us awhile before we can truly comprehend her meaning. Meditation sessions are really enjoyable especially when we sit in a group. I can feel the vibrations rising and surrounding us. If you are interested in joining the circle in Canada, perhaps you can ask the people from Canada if they have weekly sessions? Hope that helps! What exactly is Genevieve's technique of meditation, Kiki? Mind clarifying? And who is this "Master" you have mentioned? Hello from Melbourne!! What a wonderful day today, ain't it? I would also love to learn the meditation technique that people have mentioned. Will Genevieve be visiting Australia? Orsen. When I said Master, I was referring to Genevieve. The technique of the Sandhya Maarga Meditation places a strong emphasis on the observance of breath. And then when we have reached the stage of what we call a meditative state that we begin to awaken the Kundalini, allowing the serpent to coil upwards. We are then free to remain in that state until we fall into a deeper meditative state, or this is also an ideal state for us to visualise the ideal life we would want to have objectified in our physical reality. After awhile, we just ascend beyond the need of having to intentionally materialise anything because our capacity of directing our thoughts become so powerful that it happens automatically. From there, we begin to seek for higher spiritual goals. everyone's spiritual journey is different although we are all moving towards the same destination. many have started this meditation because they wanted to change their lives in one way or another. after some time, we just realize that there isn't any need to deliberately change it any more because we have discovered a newfound inner power. all the things that we once wanted, just slowly dropped away as we now become fascinated in knowing who we truly are. i mean, if my mind is so powerful, then who is this I?? initially, it was difficult to settle in to tune to a meditative state, then the more i practiced, it got easier day by day. so not only the conditions in my life got better, but my ability to focus within and rely on the self became greater. i'm not entirely there yet in knowing my self, but i'm getting there. :) love and light to all. sorry for butting in without notice by the way kiki. i hope my reply was useful to you too orsen. good luck! Hi, if anyone is interested, I just came across a notice on Sandhya Maarga Holistic Living Resources Facebook Page that Genevieve will be visiting Malaysia from May until July. She will be delivering a lecture on "Willpower", and anyone interested to sign up can contact the contacts listed on the page.